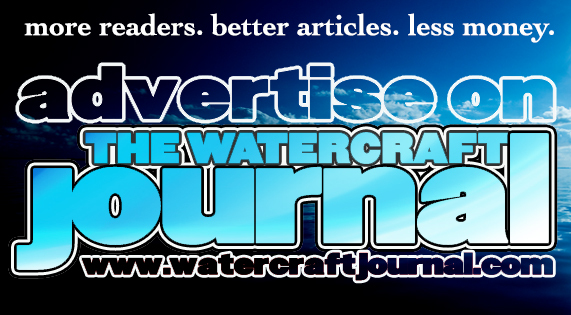 Jet Skier Saves Surfers from Great White Patrolling Lineup at Mavericks | The Watercraft Journal | the best resource for JetSki, WaveRunner, and SeaDoo enthusiasts and most popular Personal WaterCraft site in the world! Even on a sunny day with waves only in the 10-20ft. range; the break at Mavericks is a dark and scary place. The waves are formed by seamounts and other bathymetric features located well below the surface and it takes a big swell to create waves that will break in the deep cold water. The paddle out is no joke and one most certainly doesn’t want to get washed up into Boneyards or anywhere near Mushroom Rock. Those two areas have some crazy stories to back them up. Those are for another time. This is just to give the reader some background information about the spot and why it’s a big deal that the surfers were able to be rescued. Mavericks is located in Half Moon Bay, along the Northern California coastline where great whites are not uncommon. March 24, 2019 was no exception. 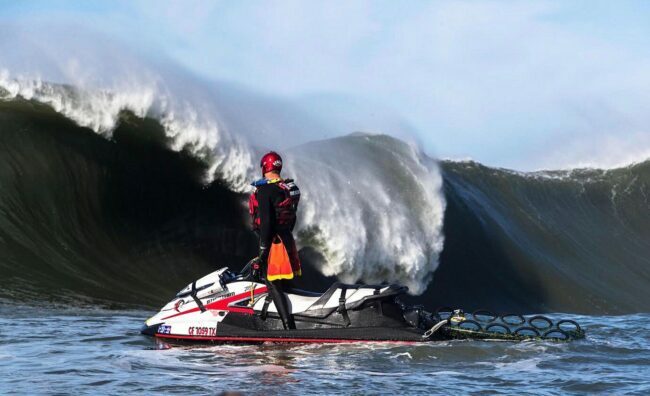 A small to medium size swell hit the northern California coast and a small group of surfers were on it at Mavericks when Drake Stanley decided to make an appearance on his jet ski. 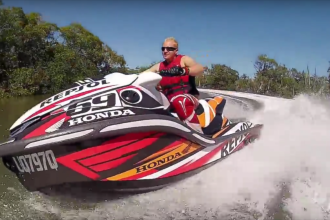 Drake Stanley is a surfer who sometimes runs water safety on his ski. He’s a regular at Mavericks whether operating his ski or surfing. 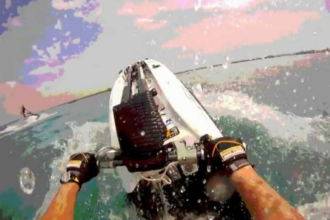 He surfed Sunday morning and decided to head back out on his PWC that afternoon. He set himself up to run safety for the crew who were catching some afternoon bombs. Next thing you know, he sees a behemoth great white headed his way. He told local media that it looked like a whale and that he could have reached out and touched it as it swam under his ski. Stanley estimated the length of the shark to be in the 15-20 foot range. Stanley saw the shark make a beeline for a surfer who was paddling away from the pack and making his way in. He immediately went into rescue mode. 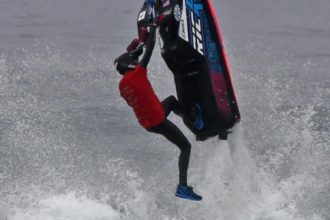 He cranked up his PWC and put it on top of the shark as he got between it and the surfer. The surfer didn’t even realize that the shark was stalking him. Stanley revved his motor and the animal changed course and headed toward the surfers still in the lineup. Stanley alerted the guys as he quickly made his way to the surfers. All of the guys managed to escape by grabbing onto the ski and rescue sled and Stanley skillfully towed them to safety. Wild times at Mavs!